The demand for nurses in the United States is expected to increase by 26 percent by 2020. 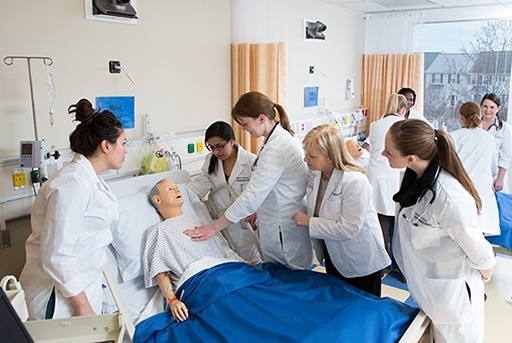 To help meet that demand and to attract top nursing students as well as prepare them for leadership positions, the George Washington University School of Nursing created a state-of-the-art active learning simulation lab. The lab provides hands-on learning opportunities for students and includes mock emergency, hospital, and wellness rooms that create a realistic environment. Patient mannequins are so realistic they can move, speak, have heart and lung sounds, and can even give birth. As realistic as the lab is, assessing student performance presented challenges. To remedy that situation, GW turned to Echo360. Now, all student simulation sessions are recorded and then shared with the student for assessment. Students are able to view what they did right or wrong and whether or not they followed the correct procedures. The recorded simulations are now a critical component of the student learning process. You can view our webinar archive to learn about the groundbreaking ways GW has combined technology with pedagogy to become one of the most innovative nursing programs in the nation. You’ll hear from the GW educators and IT staff themselves as they share their valuable experiences.